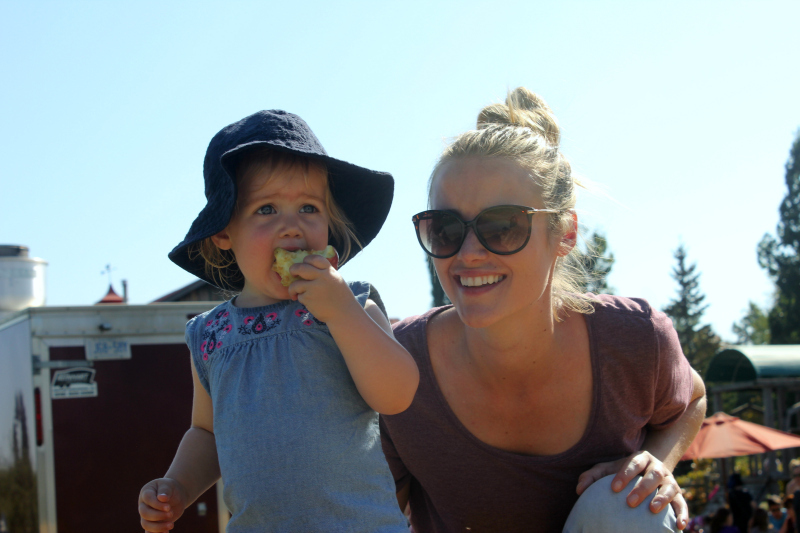 One thing that I love about fall is the abundance of family fun. 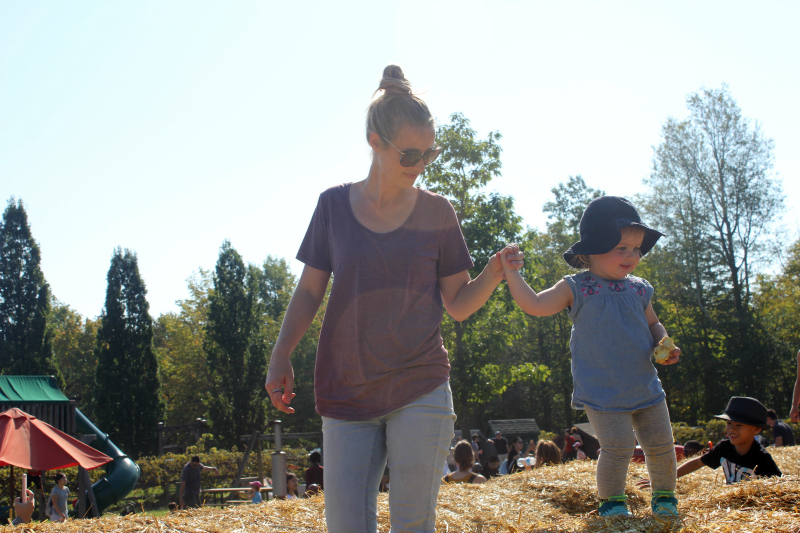 And with the summer-like weather we've been having lately, we're taking full advantage of getting outside to continue our annual fall family traditions. Like apple picking. 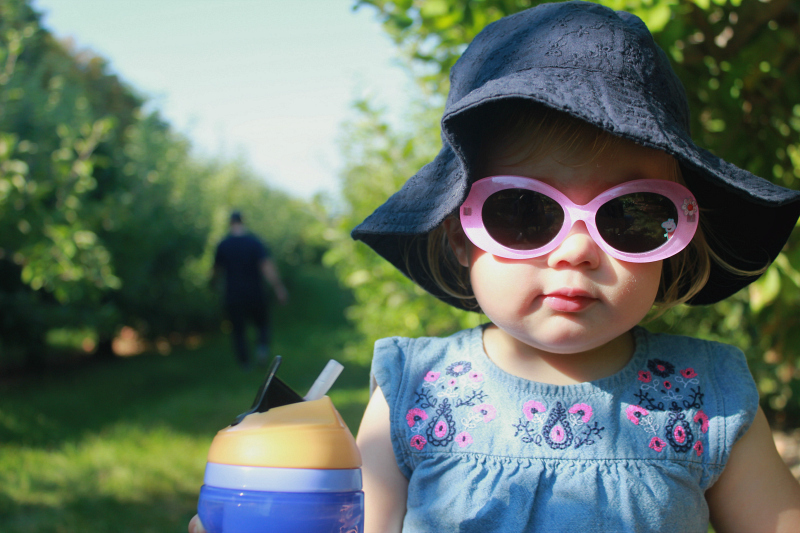 Last year, apple picking with a six month old was easy. We strapped her into the carrier and went on our merry way filling our bag. This year, things were a bit different. 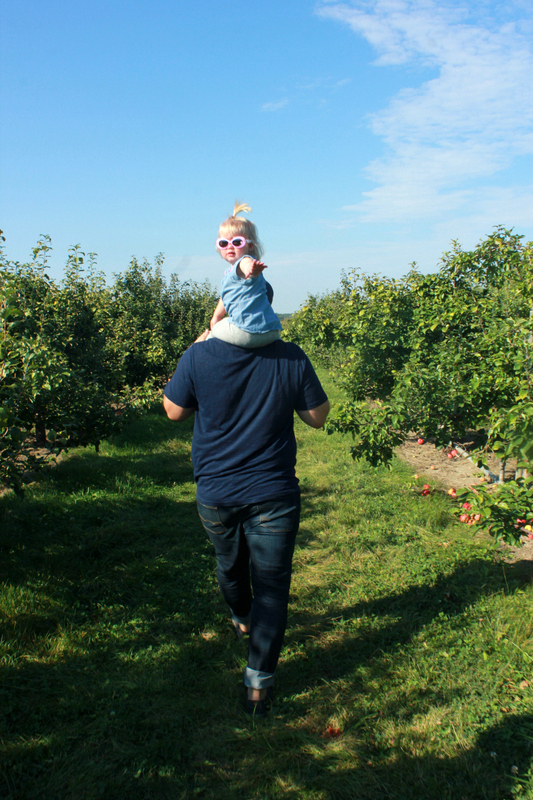 With an independent 18 month old in tow, apple picking was exhausting. But, it was also extremely fun - giving us the opportunity to see this fun fall family adventure through her eyes. 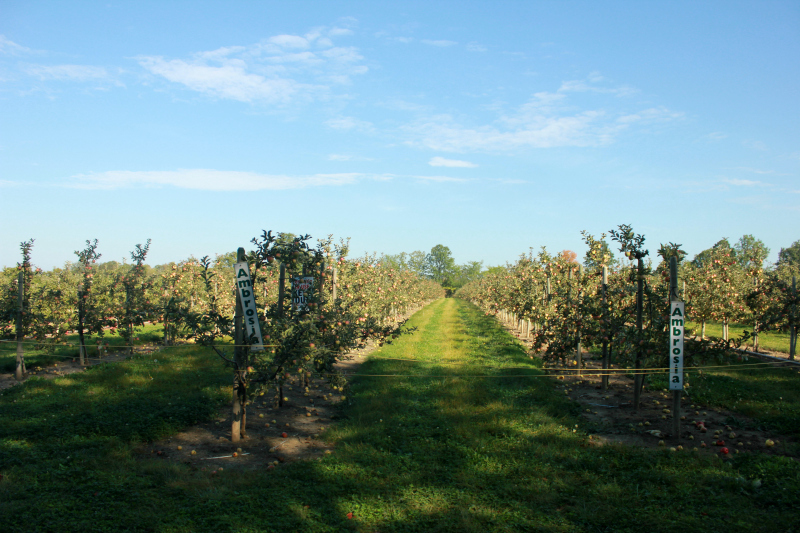 There are several apple orchards located around the Greater Toronto Area, so choosing which one to visit was difficult. For the past two years, we have visited one about 45 minutes east of the city. 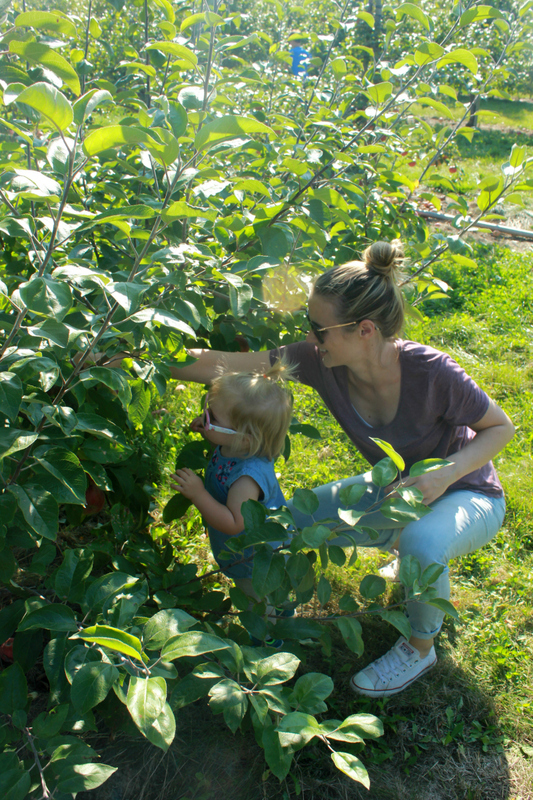 But with a mobile toddler, we knew that in order to make the most of our day, we needed an orchard with more activities geared towards families and small children. When asking for recommendations on To & Fro's Facebook, someone recommended Applewood Farm Winery. Located about 25 minutes north of the city in Stouffville, it seemed like the perfect spot. 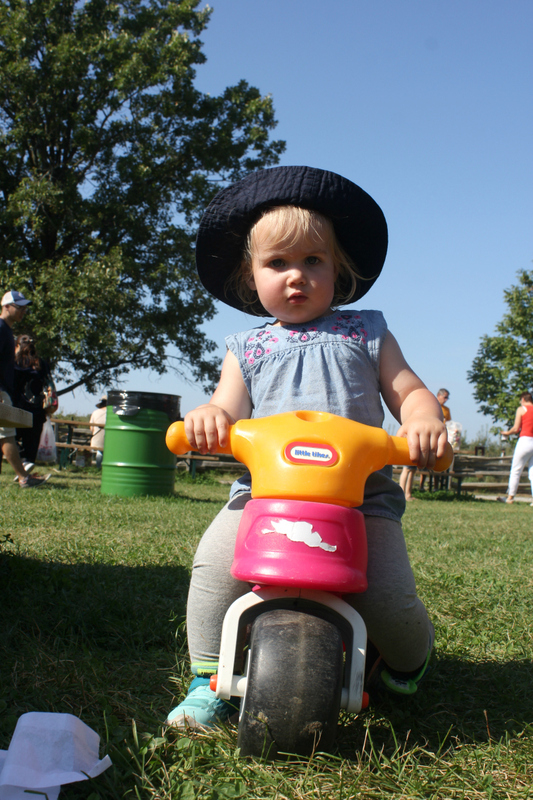 Besides the apple orchard itself, Applewood Farm also has a list full of activities perfect for any active little one. 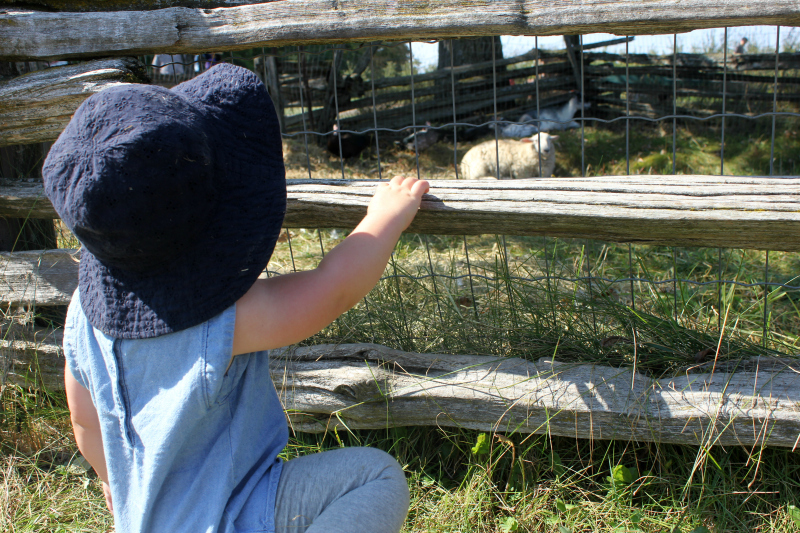 We took full advantage of the tractor ride, petting farm, children's playground and straw bale mountain. 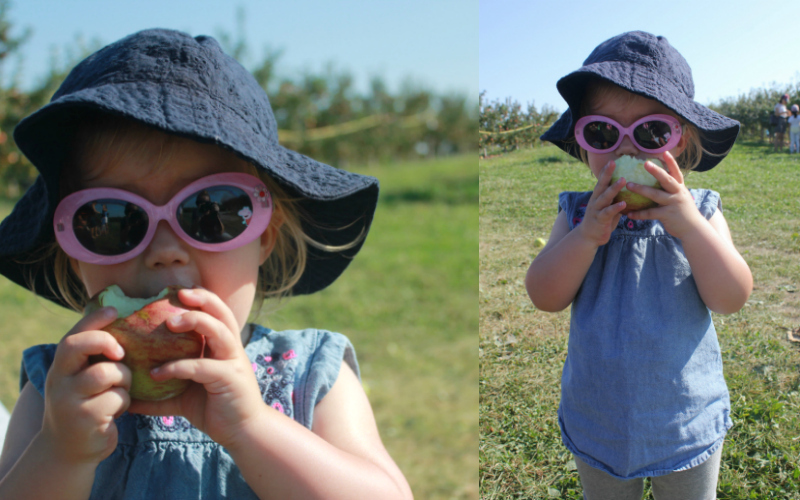 And then there was the apple picking. The purpose of the trip. With a heat warning in effect later that day, we knew an early morning visit was a smart idea. And smart it was. 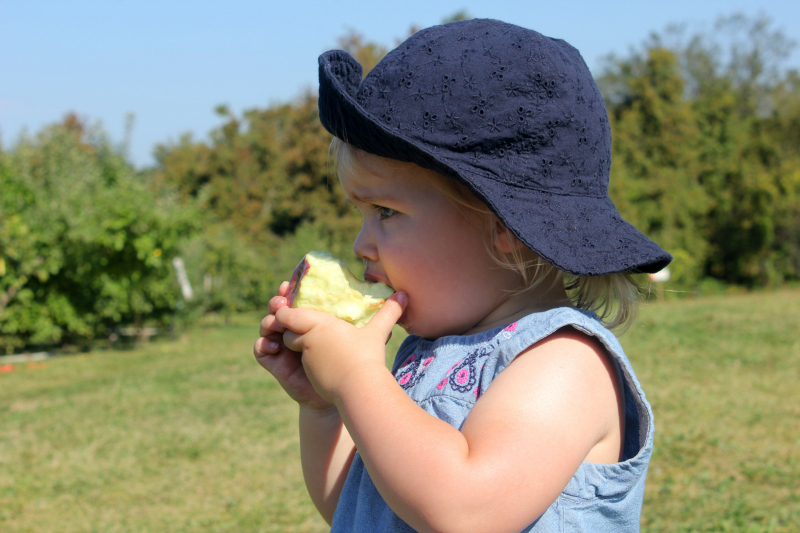 Not only did the temperature soar quickly, making apple picking quite sweaty, as we were leaving around noon the visitor traffic was also picking up. Honey Crisp, Cortland and Red Delicious apples rounded out our bushel. 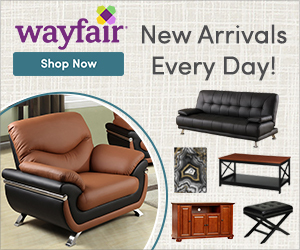 All perfect for our favourite fall comfort recipes, and maybe an apple crisp, or two, or three. We were lucky to have quality control with us. She approved of our picking. 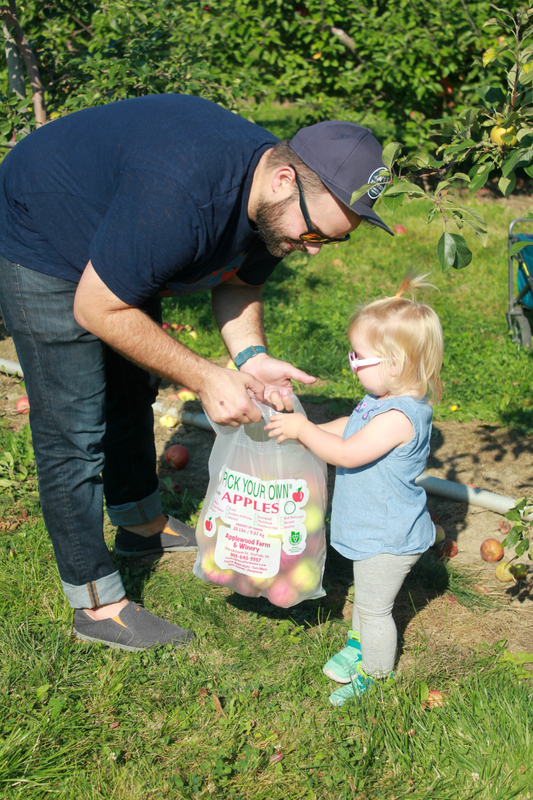 There are several things to consider to make the most of your family's apple picking experience, but if I can offer only one recommendation, it would be to take a wagon. 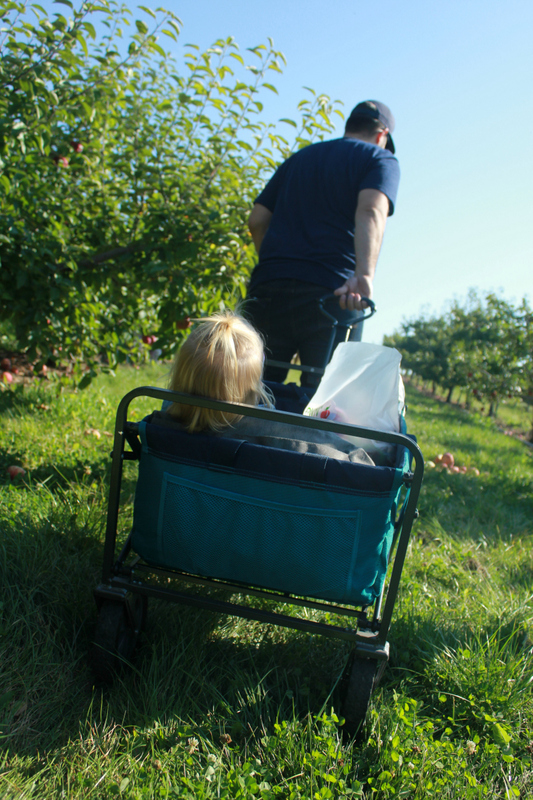 This wagon was one of our best purchases from Costco (around $60), and so handy during picking. 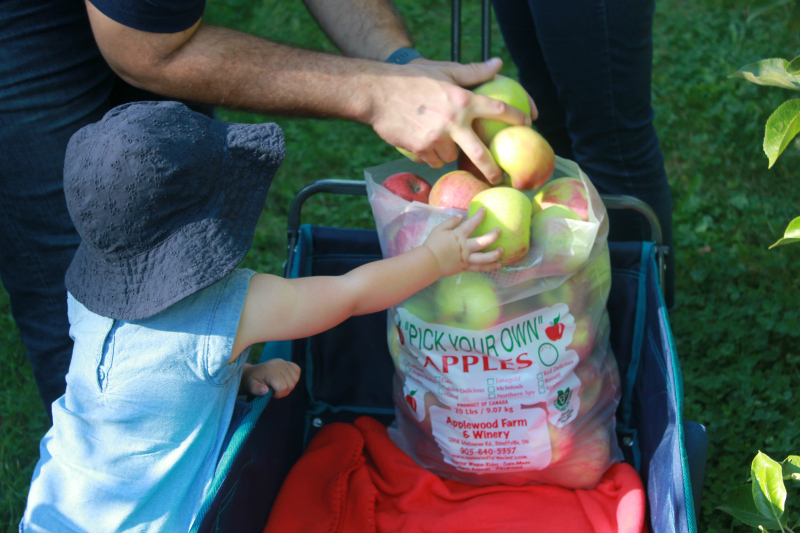 It is rugged enough to pull through the orchard, and easily lugged a toddler and 20 lb. pound of apples around. We can't wait to continue the fun fall family tradition again next year!